Having had a landmark year in 2017 in terms of its internationalisation strategy, Gaeltec Utilities is on track for sustained and controlled growth, says director Declan Wynne. Set up in 2003 as a service-based company focused on the Irish energy sector, Kilkenny-based Gaeltec Utilities has grown to become one of the leading companies operating in this sector and more recently, has built a strong presence in a number of new markets and sectors. The company currently employs around 300 people directly and had a turnover of around €42m in 2017. Its client base is predominantly semi-state companies, largescale utilities and multinational organisations, which include; ESB Networks, Bord Na Móna, Coillte, ESB Wind Development, Scottish Power Energy Networks, blue chip companies such as Facebook and also Siro – the ESB and Vodafone Joint Venture Company. Since this period, Gaeltec have made great strides in a number of markets, their approach to executing that strategy has been extremely focused. At present the company has established operations in a number of European locations, namely; Ireland, UK, Portugal and the Nordic region. In addition Gaeltec has its sights on a number of other markets but will be expanding cautiously and strategically. “We’ve consolidated the UK market very well and recently secured some key long term contracts with Scottish Power Energy Networks which gives us a great foundation and continued confidence for expansion,” says Wynne. Recent years have seen greater emphasis towards risk management and project selection. Management has a greater focus on a number of metrics in terms of margin and outputs via contracts that add significant value to clients and fully align with the growth strategy. Wynne who holds a degree in engineering and a master’s in business administration (MBA), is firmly focused on the development of the business. He described the staff as the company’s greatest asset, and outlined that the passion for excellence that exists throughout the organisation offers the senior management an excellent platform for success. Whilst Gaeltec’s ambitions and expectations for the future largely focus on having a major international presence, Ireland will be maintained as the home market and headquarters. 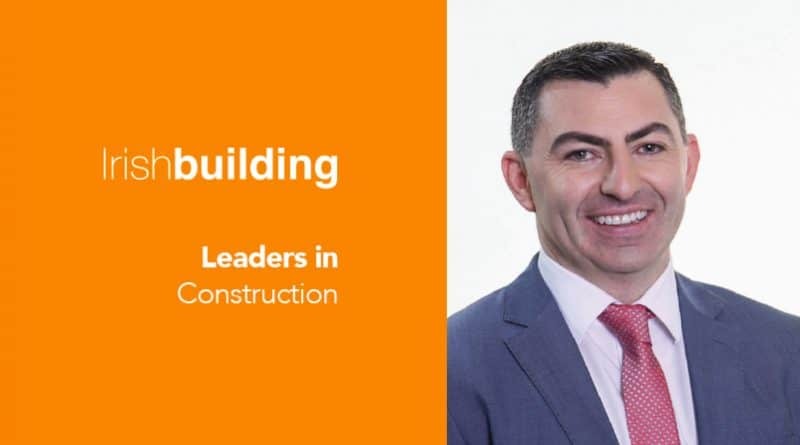 While activity in the construction and engineering industry is quite Dublin-centric at present, Gaeltec’s projects have tended to be nationwide. They have recently commenced work on a design and build contract in Co. Mayo to construct what will become Ireland’s largest onshore wind farm. The project, which is being delivered for a joint venture between ESB and Bord na Móna, will include a new 110kV substation and associated grid connection and once the development is fully operational it will have the capacity to power 185,000 homes. As regards national capital investment, Wynne believes strengthening the energy and digital communications infrastructure across the country needs to be a top priority at government level. “The development, upgrade and upkeep of a reliable electricity system is absolutely vital for foreign direct investment. There is a notable stress on the Irish electricity system with an overreliance – or excessive demand – on the Dublin region. Wynne says Gaeltec mitigates this by keeping staff motivated and fully informed around the strategy for the future, and providing a clear vision of the career advancement potential within the business.